The time had come to make the long-awaited journey up to Koke’e which sits atop the green rain kissed mountains of Kauai. The mountains of Kauai are on record for being the wettest region in the world, seeing more rain in a week as compared to what some places see in years. Knowing this means we needed to carefully plan our travel to the center of the island based on current weather patterns. Seeing a break in the rain, we packed up and headed to Koke’e. 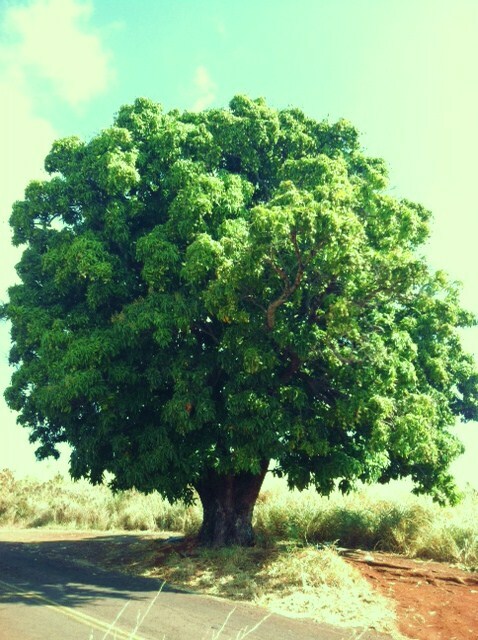 Koke’e is well-known for its spiritual energy. 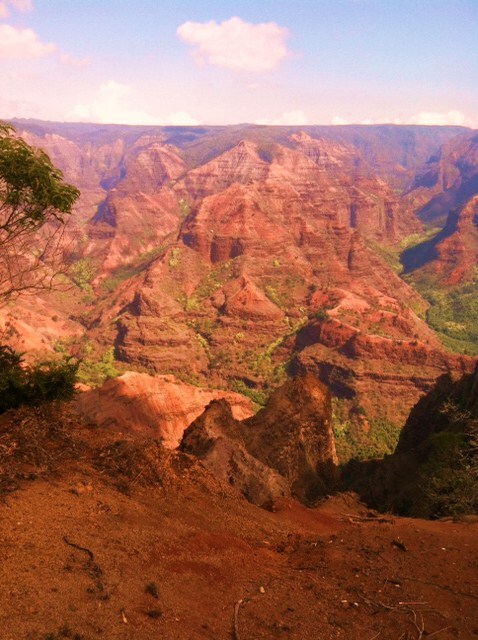 It sits nestled atop the Waimea Canyon, normally shrouded in clouds, shadowed by towering trees and framed by the awesome painted walls of the 6 million year old canyon that journeys to the sea from the center of the island. It did not take long to realize that there is something special about Koke’e. Our journey began from Kekaha, the western most village in the USA. From there by vehicle we scaled island plateaus, carnivorous ravines and green spiking peaks. We found this truly amazing mango tree on the side of the road. 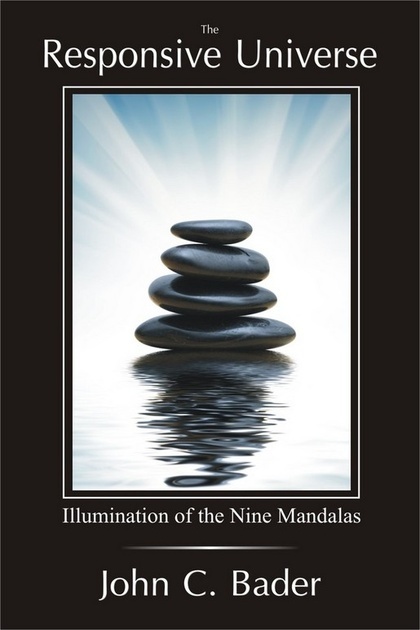 Its position was like a milestone to mindfulness. A towering tree surrounded by distant views of ocean in all directions – it was as if you just knew you were on the right path to something grand and sublime. We drove through magnificent koa forests which gave way to norfolk pine and cedar woodlands. Tropical vines and flowers intertwined knarled root structure on the forest floor as moss and ferns dotted the shaded landscape. Down a secluded dirt road and away from touristy lookouts we found a quiet hiking path along a sleeping brook surrounded by only the sounds of birds and my own inner voice. Splintered light rained down like shards of energy – filtering through the branches and trees above. Once centered, there was this curious feeling that there I sat on the top of the world in the middle of Pacific – with only blue sky and the Universe as my witness.